An award-winning chef says teaming up with Coleg Cambria to create a ground-breaking food academy is a recipe for success. Bryn Williams is giving students the opportunity to work and train in his celebrated restaurants, where they will gain invaluable experience alongside the best cooks and kitchen staff in the country. 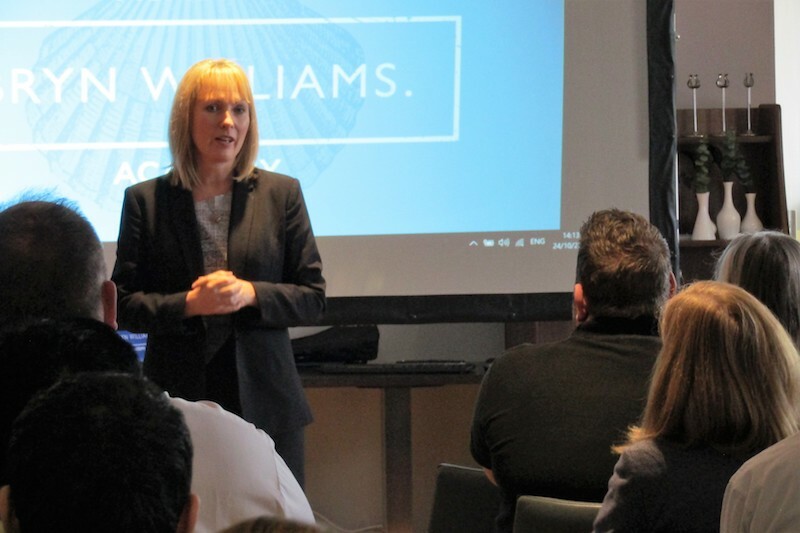 Launched on Wednesday at Cambria’s Y Celstryn restaurant in Deeside, the Bryn Williams Academy is the first initiative of its kind in Wales and gives the Denbigh native the opportunity to help plug the ever-growing skills gap in hospitality and catering. A passionate advocate for education and training, he has already welcomed work-experience students from the college to his Porth Eirias restaurant in Colwyn Bay – recently awarded a Bib Gourmand by the prestigious Michelin Guide – and Odette’s in Primrose Hill, London. Those who join the Academy will also have the chance to spend time at his other leading London restaurant Somerset House, as well as Odette’s, which celebrates 10 years this month. “The idea was first discussed about 18 months ago when I spent some time at Coleg Cambria and did a cooking demonstration with the students,” said Bryn. “We explored the possibility of doing something more formal together, and not long afterwards the Bryn Williams Academy was born. He added: “There is a growing demand for chefs and catering staff, not because less people are entering or want to do the job but because the industry has reached a new level and the training and infrastructure did not grow at the same pace. Bryn shot to fame in 2006, when he took on and beat the best chefs in the country to cook the fish course for the Queen’s 80th birthday celebrations on the hit BBC programme, Great British Menu. He has gone on to appear regularly on TV and radio and released acclaimed cookbooks Bryn’s Kitchen, For The Love Of Veg, and Tir a Mor. Having trained under some of the world’s greatest chefs – including Marco Pierre White and Michel Roux – Bryn knows that a good grounding with the right direction and discipline will give aspiring young apprentices a firm foundation on which to build their careers. And he believes the college is the right place to do that. “There is a shortage of skills, which is why I am so delighted to be in partnership with Coleg Cambria,” said Bryn. “They are at the forefront of education, apprenticeships and training in Wales and constantly push themselves, just as I do in my work. They have a massive vision and I want to be a part of that. The team and I can’t wait to get started. 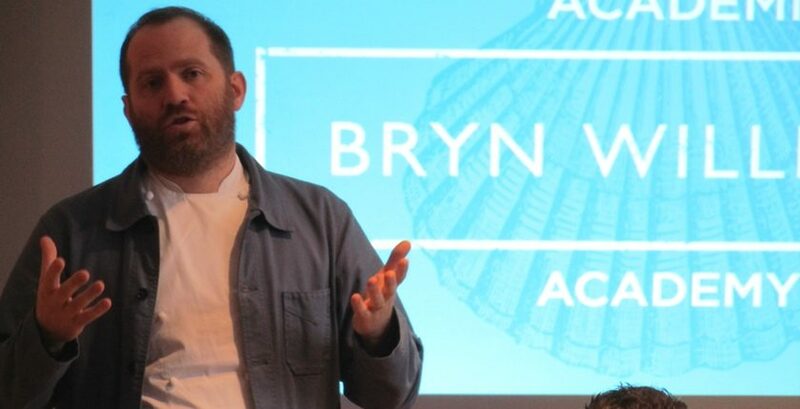 The college is equally looking forward to joining forces with Bryn, widely recognised as one of the UK’s most innovative and talented chefs. Andy Woods, Coleg Cambria’s deputy director for hospitality and catering, said this unique alliance will be unlike any other. “The partnership between Bryn Williams and Coleg Cambria will be a first for Bryn, for the college and for Wales,” he said. “It brings together partners who are passionate about Welsh produce and focuses that to influence future generations of chefs and hospitality staff from across north east Wales. “The Academy consists of a programme which provides pathways into employment by blending education with high-end work experience and fundamentally aims to address recruitment, retention and quality issues which are widely affecting the UK hospitality sector. Visit www.bryn-williams.co.uk for the latest on Bryn Williams and his award-winning restaurants. Read 1,258,661 times in last 30 days, and 73,812,919 times since we started in 2011.